During the last month we have developed and tested a new service in RiverGuide for the Province of Noord-Holland. This service automatically requests bridge openings for the skipper on his trip. The information helps the bridge tenant to make better informed decisions to optimize the use of both the traffic on the road and waterways. The moment the user starts using the app and enters his destination, RiverGuide will au tomatically calculate the route, including the ETA’s on all of the bridges and locks on this route. These ETA’s are based on a standard speed, and will be adjusted once the skipper is on the move. The ETA’s of the various boats on arrival at the bridge are send to the Bridge Management System (BMS). This provides the bridge tenant the insight on the traffic on the waterways. As soon as the bridge opening is planned, the RiverGuide app will inform the skipper when the bridge will be open. The skipper will be visually alerted if the bridge opening is a close call. Of course all detailed information on the bridges and locks, lick height, width, VHF channel etc. is directly available in the app. 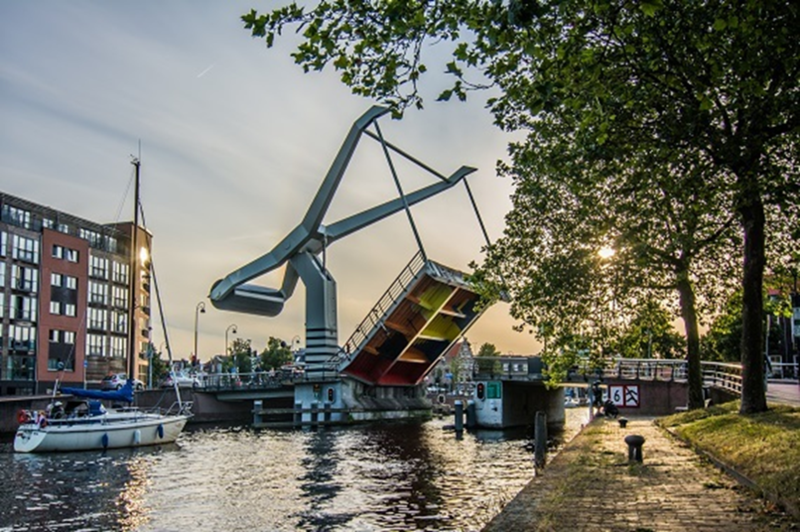 In 2018 and 2019 more bridges in the Province of Noord-Holland will be added to the system.